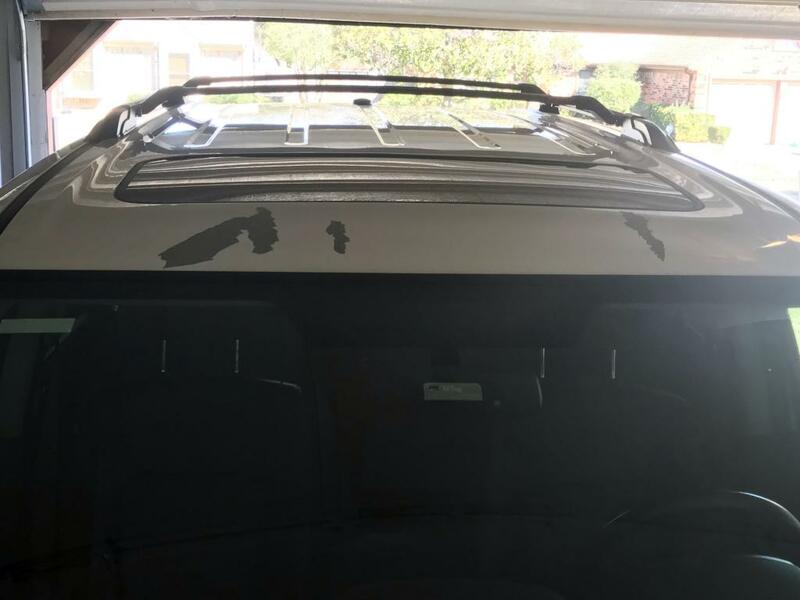 Came back home from driving a few miles to find paint missing between the windshield and moon roof of our 2014 Honda Pilot. I've taken it to our local Honda dealership and service center which has been anything, but helpful in trying to get this remedied. They had me take it to their service center for a quote which they then sent to Honda corporate and took 6 weeks to hear something back. They've told me they'd cover 70% of the cost to repair which left me with a little over $550 +tax to cover out of my own pocket which is ridiculous given that this is obviously a paint defect. My car has very low mileage and for a lot of the life garage kept. Tried contacting Dupont for the Paint Protector service I had on the car to see if they'd cover the remainder and it falls outside of what they'd cover, but they too couldn't believe Honda wouldn't cover the whole cost and gave me her name and number if I wanted to share it with the service manager to have him call her to discuss it. Basically since it falls outside of warranty they won't cover all of it is what I'm told which I get for mechanical issues that may arise, but not for what's obviously a defect in their painting. I've reached back out to the service manager asking for the regional corporate representative, but I'm sure I'll have to call him 3-4 times again before he'll return my calls, thanks Wilde Honda of Sarasota! 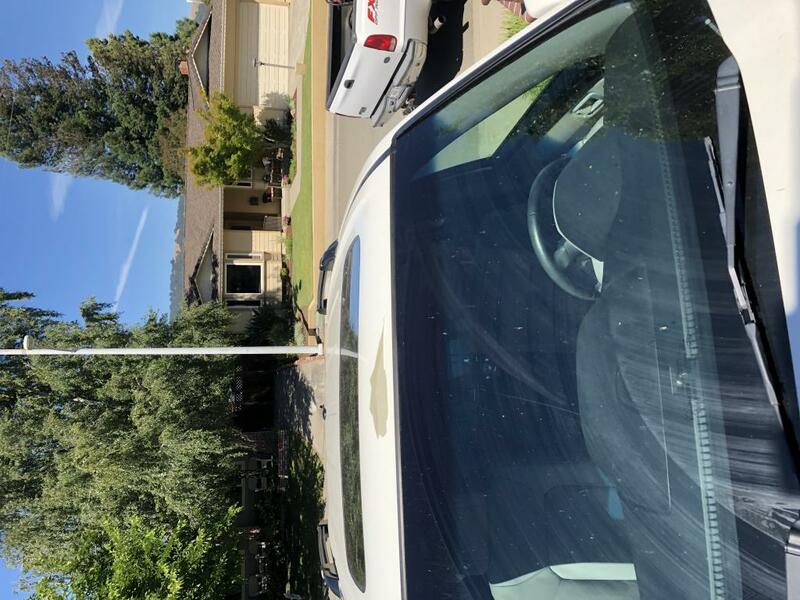 A few weeks ago, I noticed a spot, between the windshield and moonroof, where the white paint was peeling off of my 2014 Honda Pilot. I took it to a body shop and received an estimate of $388 to fix. That sounded pretty reasonable. 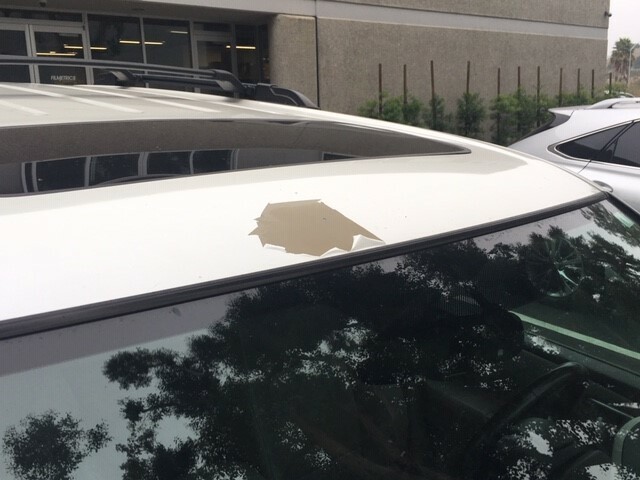 On my way back to work, I observed another Pilot, the same color as mine, with two areas on the roof in the same location with paint peeling off. I decided to do some online research when I was home that night and low-and-behold there are many other Pilot owners dealing with the same issue. I made an appointment with the service manager at Germain Honda in Beavercreek, Ohio. 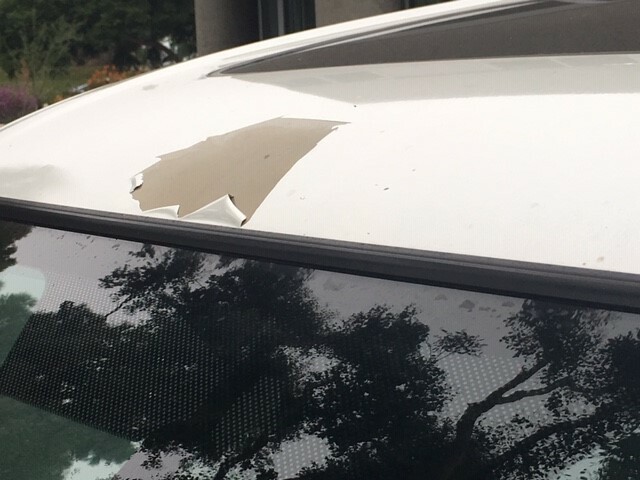 He said it looked like rock chip damage and there were no known issues with paint peeling on these vehicles. (Yeah...right). He also said that since it was out of warranty and I was the second owner, Honda will probably do nothing for me since I couldn't prove that the vehicle was properly taken care of before I purchased it. I even had that waste-of-money Poly-Steel coating applied after my purchase. This stuff won't stop a manufacturer's defective paint job from ruining my 5-year-old over-priced vehicle. I will be calling Honda customer service on Monday and will post their response. I have a 2014 White Honda Pilot Touring. 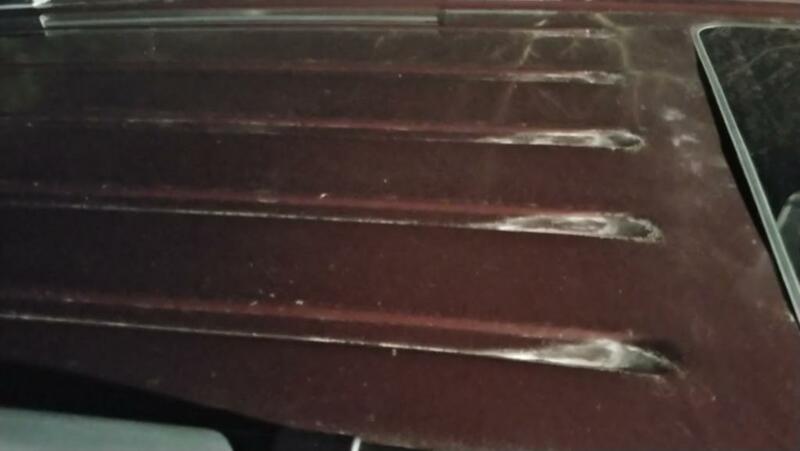 I am having some issues with the paint on the roof of the car peeling off. I opened a case with American Honda and I was told to bring it to a Honda dealer to have it inspected and then they will take pics and send it to American Honda. Case # 09263350. I did this in Jan of 2019. After a month I got a response back saying that this is not covered by Honda. I purchased this Pilot brand new from Schaumburg Honda in Illinois in 2014. I also purchased the extended warranty which I think is for 8 years and 120,000 miles. I moved to Texas in July. This is a garage kept car and there isn't a single scratch on the car. 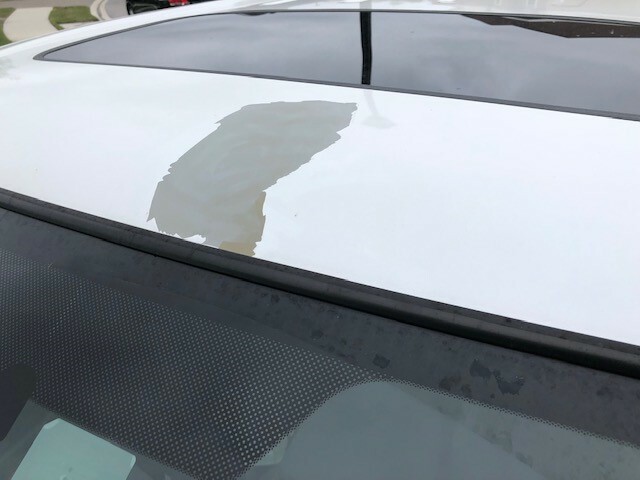 I took my car to McDavid Honda in Irving Texas and after talking to people at McDavid Honda I was told that they have seen other Honda's with Paint peeling off at the exact spot. There obviously is a problem with the paint on the Honda peeling off like wallpaper. If you google it bunch of stuff comes up and I have seen other Honda's on the road with similar issues at the exact same spot. My biggest issue is this. 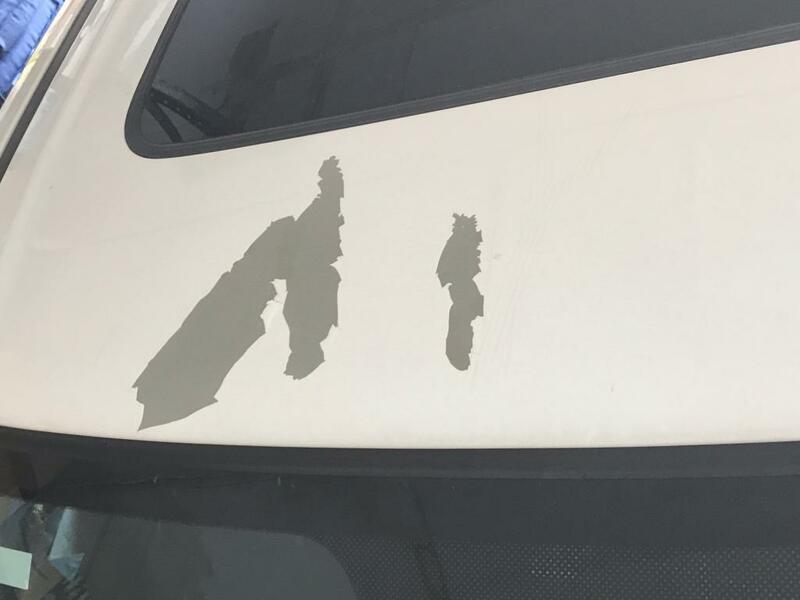 There is a problem with Honda cars paint peeling off. Odyssey and Civics had the same problem. Honda knows about the problem but is not going to fix it because my car is out of warranty. I do have extended warranty that I bought through Honda but that does not cover paint. Such BS. Bottom Line the paint should not peel off like a sticker after 4 years. Honda should do the right thing and fix the problem. I will keep posting this all over social media til my issue is resolved. This is my 3rd Honda and probably going to be my last. I have a 2014 Honda Pilot with pearl paint, which I purchased new. Of course I got the extended warranty (Yes, I realize that was stupid). My truck is garage kept and we don't take if to care washes. 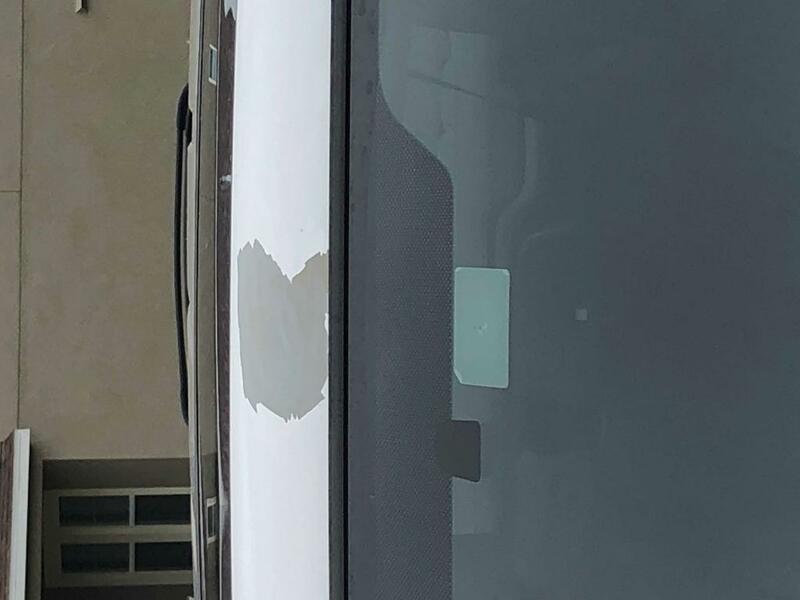 So, the paint started peeling in sheets above windshield. That's crazy!! My husband called Shockley Honda who said; Sorry - here is the name of the paint shop that we use. Did they say that they were paying for it, you wonder? Hell no! So, my husband also called Honda which said, Oh, so sorry but we can't help you. Like my hubby said to Honda; you mean that if this happened even 3 months after we purchased the truck you wouldn't do anything?? No actual response because they were not asked that before. When does it become their issue?! So, my friends, knowing me and my husband, said that it's time that I step in. This is my start of it and, when I feel that I'm getting screwed (with no kiss) I get down right nasty, until I get the correct result! 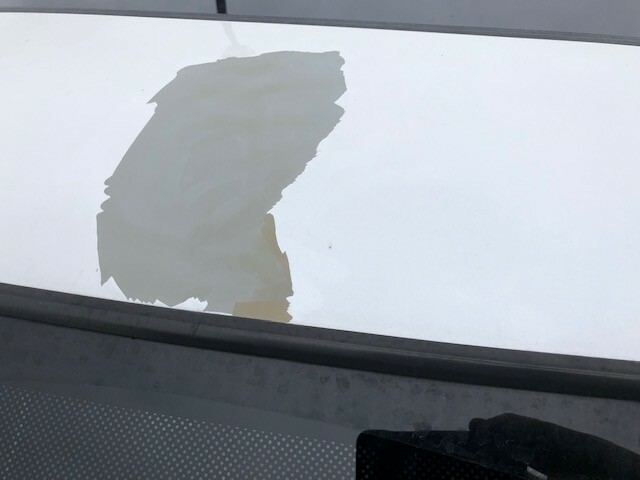 Seems to be similar to other problems listed for this vehicle - paint peeling in two spots between the windshield and sunroof. Started off with a 6" X 6" peeling a few days ago and saw this after a 15 minute freeway jaunt. Haven't been to the dealer yet, but if I have to pay for this, Honda won't be getting any of my business in the future. Don't know how to deal with the peeling paint, it's too expensive to fix it. 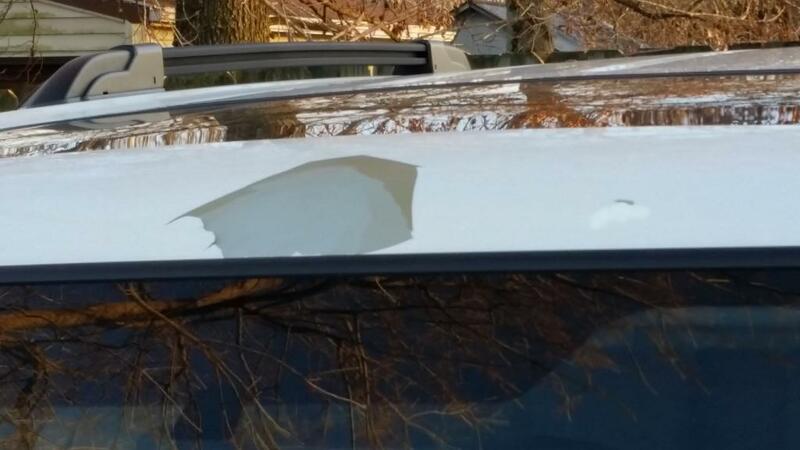 We noticed a small spot of paint chipped off between the windshield and sunroof. 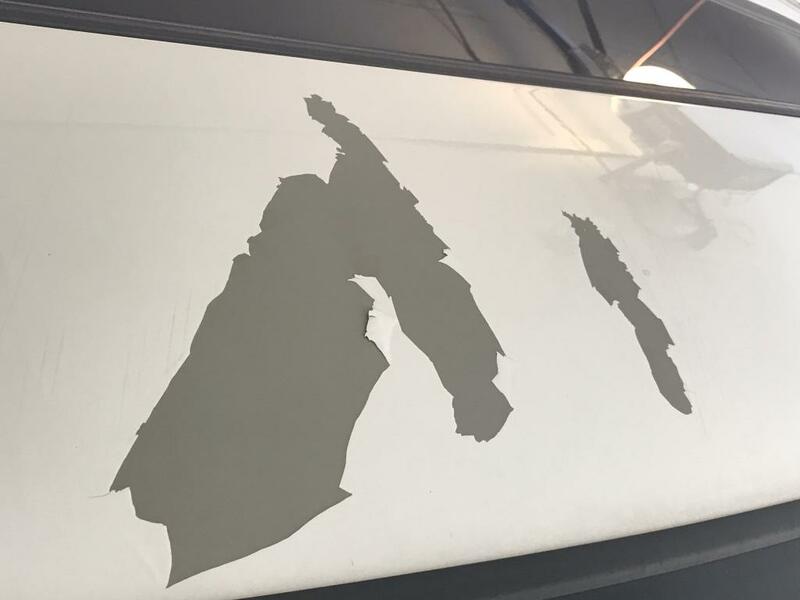 It has become two huge spots of missing paint and now spots are appearing between the two spots. I bought this vehicle brand new and expected it to have a decent paint job at least until I paid it off!!! Walk out to my car this morning and the paint was missing....no chips, no nothing. From the other complaints, this seems to be a common occurrence with this year and color. Call the dealership this morning and they have to submit to American Honda for approval. I will be taking it in this week to start the process. I've never had this happen with any other car that I've owned (Ford, Mazda, Jeep, Chrysler). This will definitely make me leery of purchasing another Honda in the future. 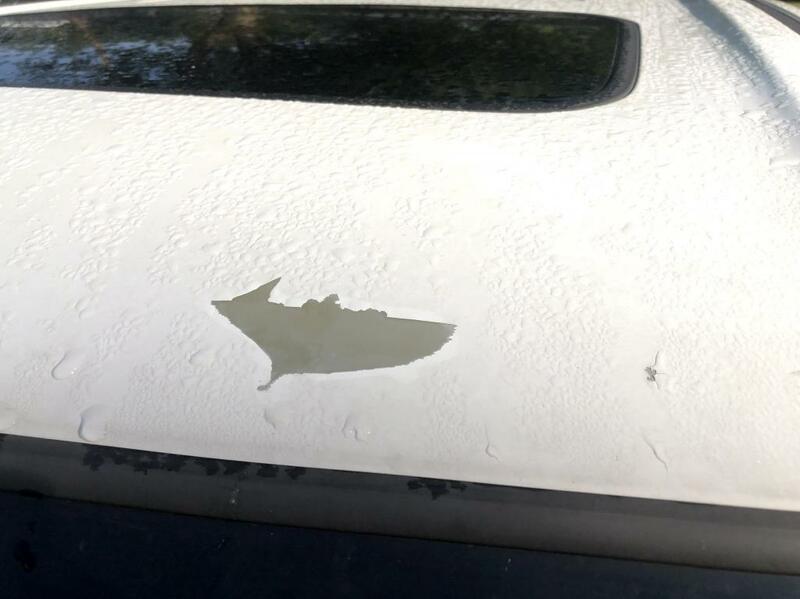 There is also paint peeling underneath the hood of my car. I went through the same thing with American Honda in 2016, but they wouldn't cover it 100%. Seems to be painting/quality issue. Hopefully, Honda will make it right or they will loose a Honda customer for life. After noticing this last night, I went straight to Google. Clearly there is a problem with this specific area, on this specific car, with this specific paint color. Based on my web search, it is also clear that Honda has a track record of defective paint jobs, as they've recalled other cars in recent years for paint problems. With the way the paint is peeling, there is a straight edge, which seems to be and indication of the source of the problem. When I touched the area, it felt greasy. I wonder if this specific area had tape on it before paint, or it is where it was grabbed by an automated machine. Regardless, it does not appear the paint was applied properly, and due to the common occurrence, something was wrong in the process. Given that it appears to only affect white Pilots, maybe it has to do with the paint mixture? Either way, I know that this should not have happened. Now this is where Honda is either making another sale, or losing a sale. My Pilot is 5 months away from being paid off, and the wife wants a van. Until yesterday, the Honda Odyssey Touring was my no brainier choice. Now if Honda doesn't make this right, knowing this history of paint problems, there is no chance I would buy the Honda over the Toyota. I have a white 2014 Honda Pilot that a rock actually flew up and cracked my windshield. 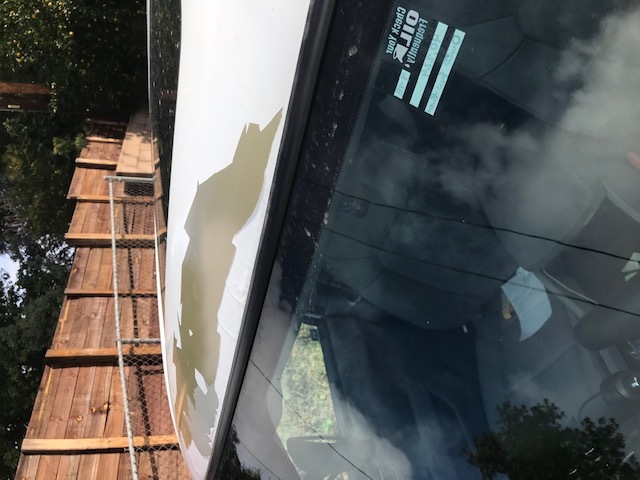 I was not going to submit it to my insurance, however I noticed peeling paint between the windshield and sunroof roughly above the mirror area. I took my car to an immediate service facility from my insurance company. My insurance won't cover it due to manufacturer defect. 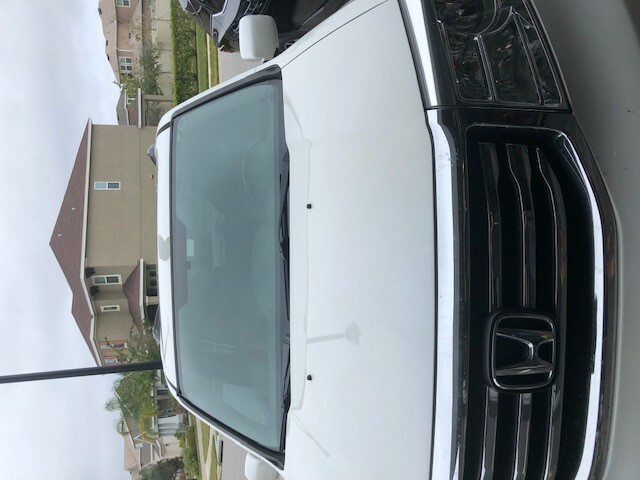 The body shop estimator told me he used to work at Brown Honda body shop and this is a defect problem that has been occurring on Honda's in that time period especially with the white paint. He recommended to take it to Brown Honda after other work was completed and file a claim. Contacted Honda....took it to Brown Honda body shop within minutes from having it at the other body shop. Was told I would have to let them see the vehicle and take pics, then when regional rep was going to be in the area, he would have me bring car in to see if it was defect. When information was submitted to regional rep...his response was...."Out of warranty and has no warranty extension on it. I don't see that the vehicle has ever been here". That's it. Nothing more. The paint above the windshield is peeling off, size of a tennis ball, right above rear view mirror. I appear to have the same issue as the others listed. First, a small round spot between the windshield and sunroof. Then today I noticed it expanding to about the size of a dinner plate. The paint is flapping in the wind. Could easily be pulled off. Planning to start with the dealership today. Since this appears to be a common problem, my next stop could be the media. This is clearly a defect of some kind. Update from Jun 7, 2018: Update - I took it to my dealer Silko Honda. They sent me to the body shop they use, Central Collision. They took pictures of the car and said they would get with the dealer. Anthony and Linda at Central were great! The paint job was perfect! I was ready for a fight and it was a non issue. Silko did the right thing and covered all of it. I'll be back to Silko for my next Honda! Thank you for allowing Honda Automobile Customer Service the opportunity of responding to your message. Our customer’s satisfaction is of the utmost importance to us, and we assure you of our interest in your feedback. 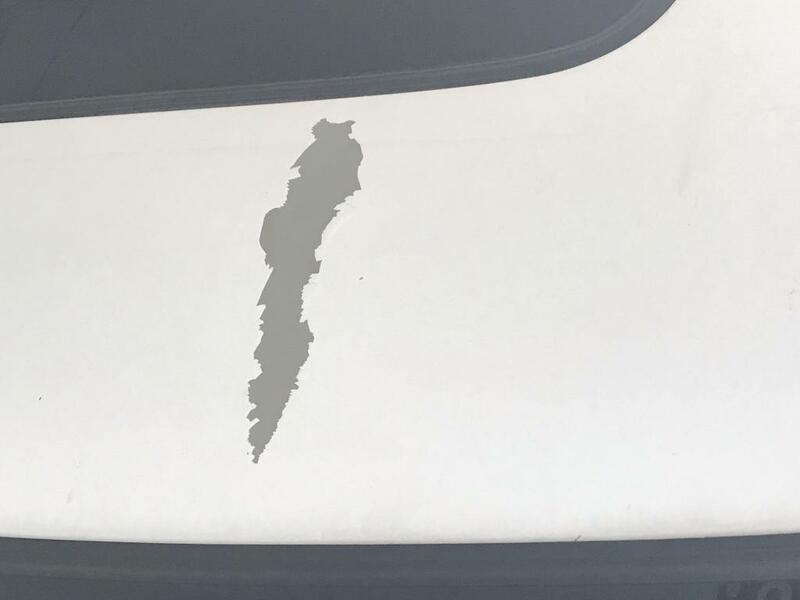 We apologize for the issues you are having with the paint of your vehicle. Each vehicle has a new vehicle limited warranty of 3 years / 36,000 miles whichever comes first. Once the parameters are exceeded then any repairs become the owner's responsibility. It appears that you spoke with one of our representatives on February 13, 2018 regarding this inquiry and they informed you that the dealership's field representative had made a decision. We are in no position to overturn their decision as the field representative is someone from American Honda Motors Co., Inc. 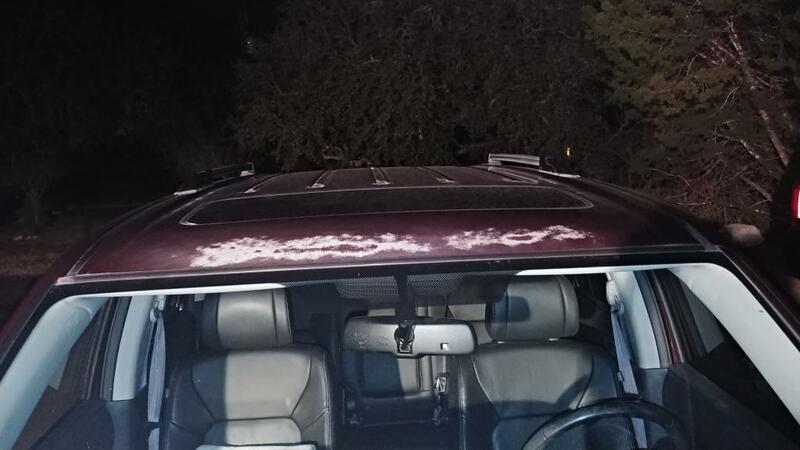 The paint suddenly started peeling off between the sunroof and the windshield. It is a huge spot of missing paint and you can see the primer. There is no dent or anything from a rock. This is a manufacturing defect, I have found several other posts about the same thing to 2014 pilots in the exact same area of the vehicle. Also to note, I own a 15 year old FORD that has never had any paint issues. This car is barley three years old and the paint is peeling off?!? This is my first Honda and may be my last. Hopefully Honda will stand behind their product and make this right. 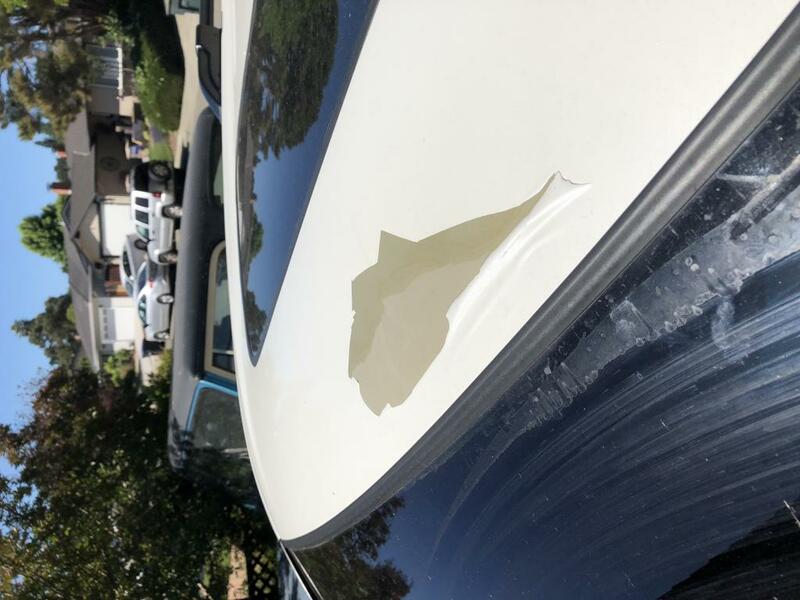 My paint is peeling off between my windshield and sunroof.... Honda said they only warranty the paint for 36,000 miles. There have been too many people with the same problem for it to be just a coincidence. Honda should fix this problem. My Honda is a 2014 and the paint shouldn't have anything to do with the mileage. Never had an issue with paint job on Hondas. The Dallas dealer I took it to said they had a history of paint just above the center of the windshield coming off on the Pilots and one other model. He felt sure because of that history that they would repair it no cost to me. It is popped off right down to the zinc coating, about the size of a half dollar. He said if it wasn't repaired it would rust and spread. I expressed my disappointment as I have been so pleased with our Honda Accords all these years. The man said it was a factory defect. Just waiting to hear from them, as they had a lot of hail damaged cars in Dallas that week. It has been 4 weeks, so think I will give him a call. 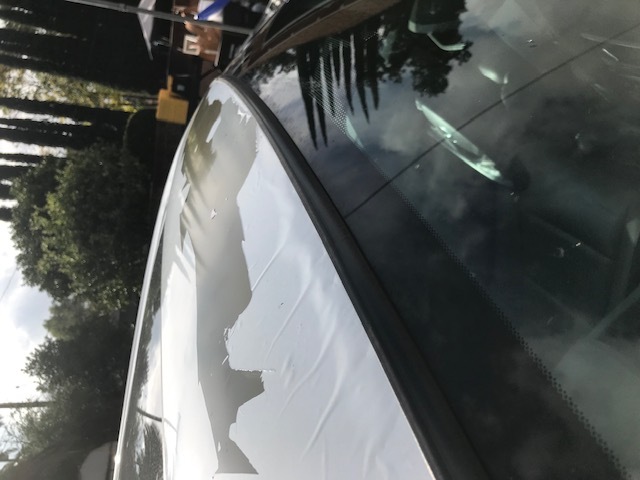 Took my 2014 Honda Pilot to have the dealership look at the peeling paint between the windshield and the sunroof, and because we purchased the extended warranty assumed the paint was covered......not.....the service manager insisted the paint peeling was due to a rock chip!!!!! Really!!!!????? I have never seen anything like this in all my life......I have had other cars, been hit by rocks and paint stayed intact!!! Honda needs to take responsibility and step up and take care of what most definitely looks like a defective paint job!!! Opened a claim with American Honda but doesn't look promising!